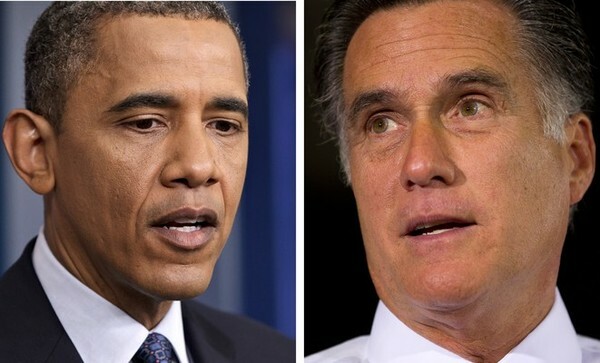 Could the Presidential Election End in a Tie? Early this spring, as the new electoral map began to take shape, an intriguing scenario began circulating in political circles: the very real possibility that the 2012 presidential election could result in an Electoral College tie. The most likely combination that would produce such a result requires Mitt Romney to carry all the states John McCain won in 2008, which after the redistricting process account for 180 electoral votes. Add to Romney's column Indiana (11), Virginia (13), North Carolina (15), Florida (29), Ohio (18), and New Hampshire (4). That would yield 270 electoral votes for Romney to 268 for President Obama, the narrowest possible win for the challenger. But then subtract from the Republican ticket the single electoral vote Obama won in Nebraska due to the anomalous way the Cornhusker State allocates its five electoral votes, and there would be a rare electoral tie that would send the election to the House of Representatives. There are other avenues to an electoral tie, as well, and given shifting dynamics and poll numbers, they aren't as unlikely as one might think. For the sake of projections, consider Indiana lost for the president and give it to Romney (191). Add to his column North Carolina (15), Florida (29) and Ohio (18), getting the GOP challenger to 253. Then throw in Iowa (6), where Romney has been campaigning vigorously and where poll numbers are tight, getting him to 259. Add in Wisconsin (10), where Republicans are newly energized, and -- presto! -- Romney gets to 269. To be sure, there are only two states not won by McCain in which Romney isn’t trailing the president in the RCP Average. They are Indiana, where the last survey taken was in March, and North Carolina, where Romney leads the president in the RCP Average, 47.3 percent to 45.3 percent. In Ohio, Obama beats Romney in the average by 2.6 percentage points, and in Virginia it’s 2.4 points. The president is ahead in Iowa by 2.5 points and leads by 1.7 points in Florida. Out West, the president is doing even better: He leads Romney by a 5.3-point margin in Nevada -- a state Republicans believe is automatically in play due to its dubious distinction of having the highest unemployment rate of any state in the country at 11.2 percent. In Colorado -- where Romney will visit Tuesday -- Obama leads by 3 points. In half of the states Romney hit along his six-state bus tour in June (which also featured Iowa and Ohio, mentioned above), the president is comfortably ahead. Obama enjoys an 8-point lead over his challenger in the RCP Average in Pennsylvania and a 5.7-point lead in New Hampshire, where Romney owns a vacation home and spent the last week. Obama has a 3-point advantage in the RCP Average in Wisconsin. Michigan, however, is closer. Obama has a lead of only 1.8 points there. Let’s assume, then, that Romney is able to pull ahead of the president in the following states where the margin is closest. Starting with 191 (McCain victories plus Indiana), give Romney North Carolina, where he’s leading (15), Florida, which boasts the president’s narrowest polling lead in a state (29), Michigan, which is the next closest in the RCP Average (16), Virginia (13) and Iowa (6) -- and Romney is back to 270. But subtract that single Nebraska vote, and they both get 269. Given the current polling data, that may be the likeliest of the electoral tie combinations. Right now, if the concept of “tossup states” are rejected, President Obama beats Mitt Romney on the RCP "no toss up" map, 332 electoral votes to 206, with just Indiana and North Carolina flipping to the challenger after going for Obama in 2008.